This month, discover the many ways you can catch the Cholaca Buzz! Follow along via social media as we reveal all of the newest places you can find Cholaca near you. Including brand-new breweries, chocolate shops, coffee houses, grocery stores and restaurants, you don’t want to miss all the locations we have to introduce. Mid-month, celebrate St. Patricks day with Cholaca beer and tune in as we announce and tell the story about our recent overseas brewery partner in Ireland! Spring Break is coming up and we will be telling you about all the vital health aspects of cacao. We’ll have great forms of exercise and dietary actions to help get your mind and body prepared for Spring Break. Plus, participate in our Spring Break, 7 Day Cholaca Challenge sponsored by Natural Grocers and enter to win a gift card and Cholaca Prize Package. Are you feeling the buzz yet?! During the first week of March – follow along on Facebook, Instagram, Linkedin, and Twitter to check out our new Cholaca affiliations with beer, coffee, chocolate, grocery, and food service. We will be presenting various chocolate beer releases from Figueroa Mountain Brewery, all the way to Comrade Brewing company, so be sure to like and follow our Chocolate Beer Lovers Facebook page. If you are a Cholaca Latte lover, stay in the loop to see our recent developments with coffee partners like Wylder and Black Smith Coffee Company. Additionally, this month we are here to alert you about all new grocery store’s we reside in and familiarize you with our incredible chocolatier partners. Plus, if you haven’t had a chance to watch our video of “Behind the Chef” – take a look below. Celebrate St. Patty’s with Chocolate Beer! 300 Suns Brewery – “Blood Orange Chocolate Porter” Don’t miss out on their special St. Patricks Day evening with Irish Dancers and and Irish sing-alongs! Fort Collins Brewery – “Rum-Barrel Aged Imperial Stout” Stop by for their St. Patricks Day food special! Our Cholaca Chocolate Beers are now available world wide. We are so excited to introduce you to Wicklow Brewer Ireland where we have joined forces with head brewer, Jason Carroll to create more amazing chocolate beer! Jason and Chocolate Beer: “The reason I fell in love with brewing in the first place is the creative aspect and freedom that it provides. I would in large consider myself to be quite good with adding flavourings such as chocolate, vanilla, coffee etc… One of the first addition based or flavour beers i had was a 4.5% stout that used chocolate powder and cocoa nibs. The flavours and aromas were fantastic. The chocolate really supported and enhanced the roasted and toasted malts as well as giving an extra dimension in terms of mouth feel and flavour complexity. The beer in question had it’s inconsistencies in terms of chocolate flavour and aroma. I’ve had the pleasure of tasting beers that have had Cholaca in them and each beer hits mark every time. I’m very excited to use it! Coming soon…. If you didn’t already know, the health benefits from Cholaca are absolutely incredible! 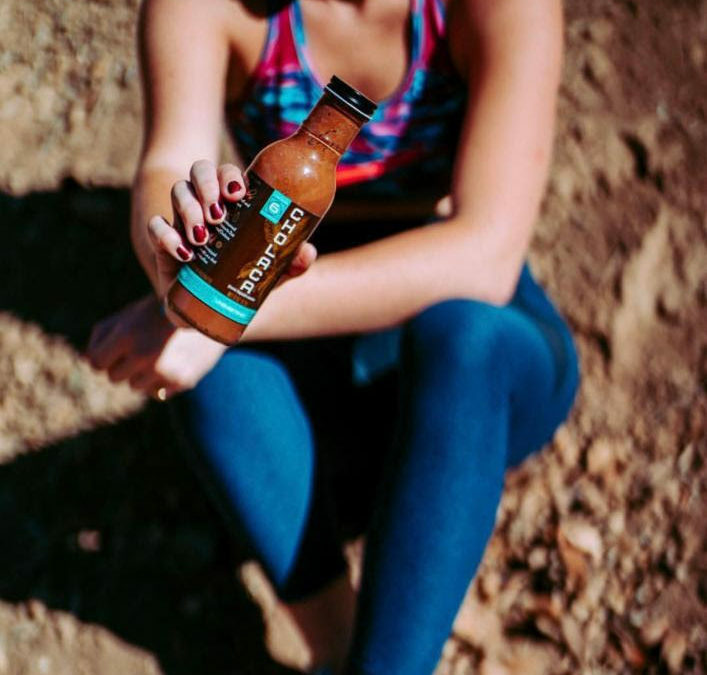 Our pure liquid cacao is just the thing you need to kick start your ultimate Spring Break body. Not only does Cholaca suppress your appetite, but it keeps you focused and naturally energized! Additionally, Cholaca detoxifies your liver, builds stronger bones, and helps protect against environmental and metabolic toxins. Stay educated and learn even more positive gains that assist in bettering your health and fitness just by ingesting Cholaca! Upload your post-shot picture to our Facebook page with #cholacachallenge and tell us how you feel! After consuming our all natural stimulant, rich with anti-oxidants and health benefits, you should be feeling amazing! The best selfie and mot descriptive blurb will win a gift card to Natural Grocers for $100 along with a special Cholaca Prize Pack! Now are you ready to take on the Cholaca Challenge? !